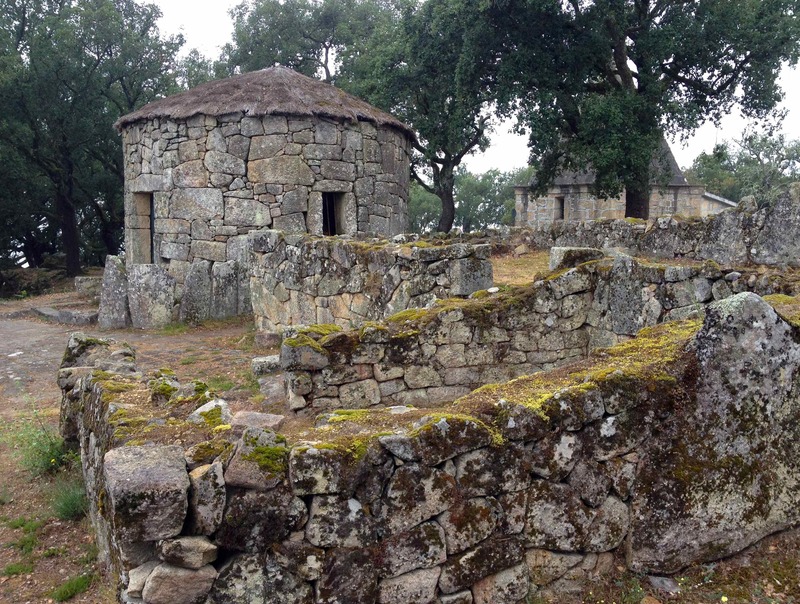 Ever heard of Citânia de Briteiros? And how would we get there? Sure, Guimarães has a castle, a palace, and is even a UNESCO World Heritage Site. Isn’t that enough? No, not when Citânia de Briteiros is close by; THAT’s where we wanted to go. 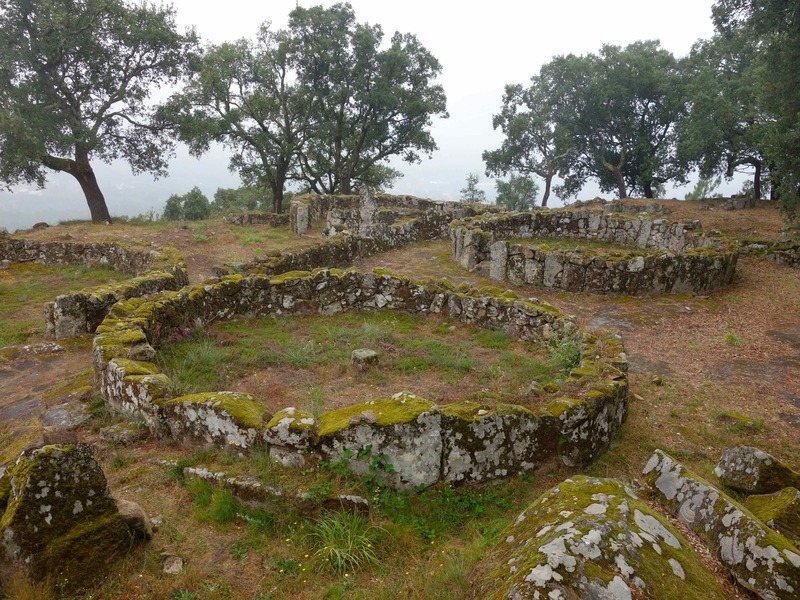 Citânia de Briteiros is the archaeological site of a heavily fortified hillside town in northern Portugal whose golden phase started in 200 BCE and lasted for several hundred years during the Iron Age in Europe. Houses reconstructed in the 19th Century are now important for their historical value in the archaeology of the site, rather their accuracy. The doors and walls should have been shorter, the thatch more extensive. Our problem with a visit to Citânia de Briteiros is its location 15 km out of town and no easy way for a traveler without a car to get there. We weighed our options: walking (unrealistic), bus (one a day too risky), renting a car or hiring a cab (too expensive). We had an idea and hoped it would work. We took the 8:20am train from Porto to Guimarães. When we arrived at the station, we found other tourists huddled around a blown up map of town on a post. We stepped up and asked if anyone planned to go to Citânia de Briteiros. (Fingers crossed.) One tourist stepped forward and said, yes, he planned to go. Opportunity strikes! We asked if he’d like to share a cab with us, and his answer was just what we wanted, an immediate yes! We negotiated a price with a cabdriver who drove us there and waited while we spent almost 2 hours walking through Citânia de Briteiros. The cost for a roundtrip? 15 euros ($20 US) each. We arrived and walked up one of the old historic roads into the dense city layout. We spent a lot of time puzzling what was the purpose of various structures. We had read that, in one area, parents lived in a small round house that included an atrium. Other buildings in the complex were for the rest of the family. 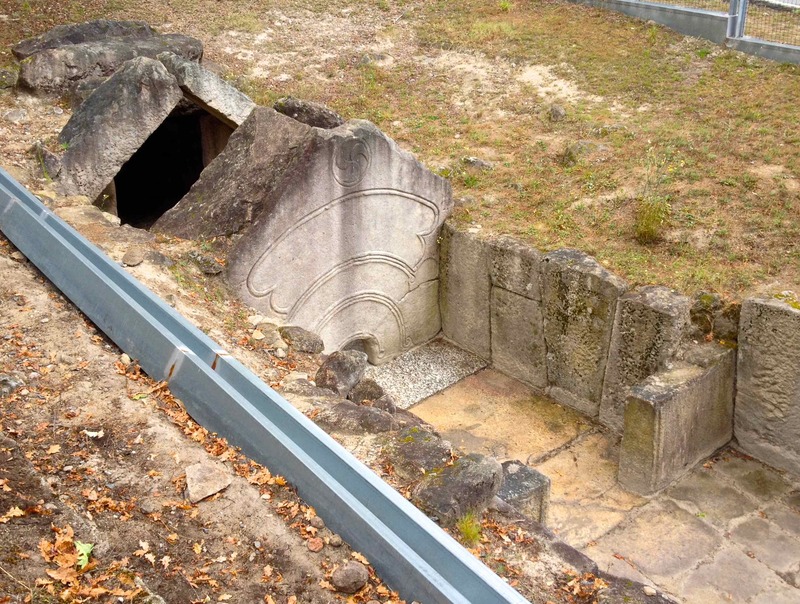 We continued on the main road that ended at the first defensive wall, the rampart. The stone wall is 1 meter thick with few breaks in the rampart. The area of the city we had been exploring is contained within the walls of the first rampart. Beyond that rampart are second, third, and fourth ramparts for defense of the city. Well fortified, indeed! Although, some experts say the extra ramparts were for prestige, rather than defense. We walked back on the road and saw several places where a stone gutter ran along the side, allowing water to run downhill to the bathhouse. Wildflowers, cork trees, birds, and a light fog enhanced the tranquility of the site. We didn’t allow enough time and would have been happier with a visit of three hours to more fully explore the area. 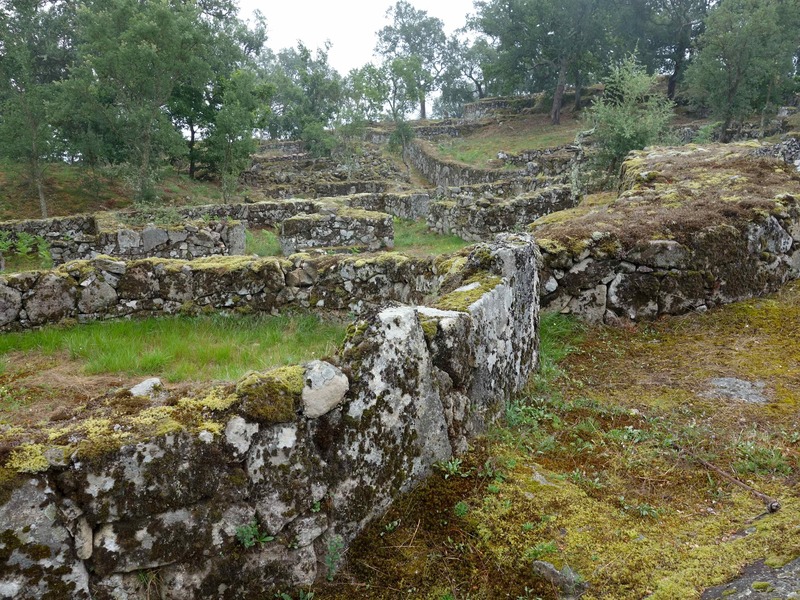 We also read more about Citânia de Briteiros on our return to answer some of the many questions we had after viewing the site. A little more preparation before the visit would have made the trip even more rewarding. Was it worth the time expense, and trouble to get there? YES, INDEED! By the way, our little traveling companion, Solbit, also joined us on the trip to Citânia de Briteiros, and you might want to read her version of the trip from a Plastic Jurassic’s point of view. 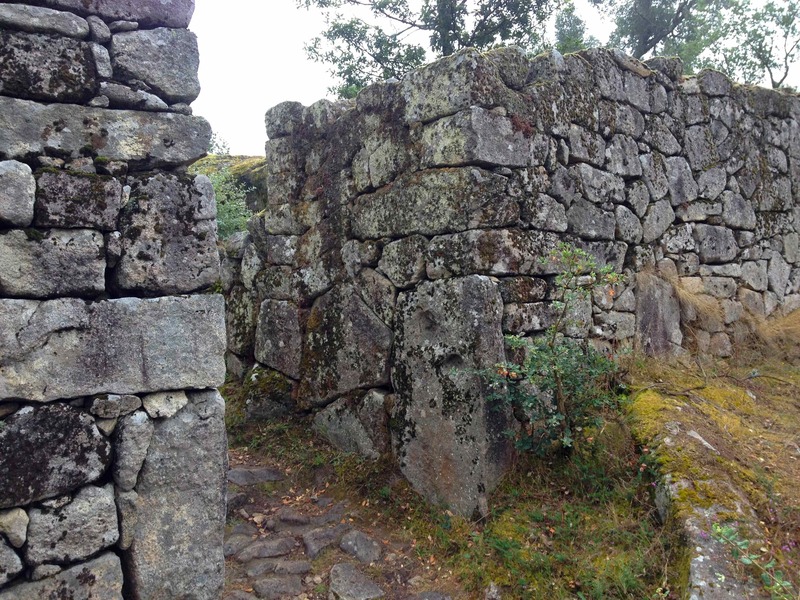 This entry was posted in Around-the World - 2013-14, Portugal - Europe and tagged archaeology, around the world, Citania de Briteiros, Guimaraes, Iron Age fortified town, Plastic Jurassic, Portugal, rampart, Solbit, travel, UNESCO World Heritage Site. Bookmark the permalink. 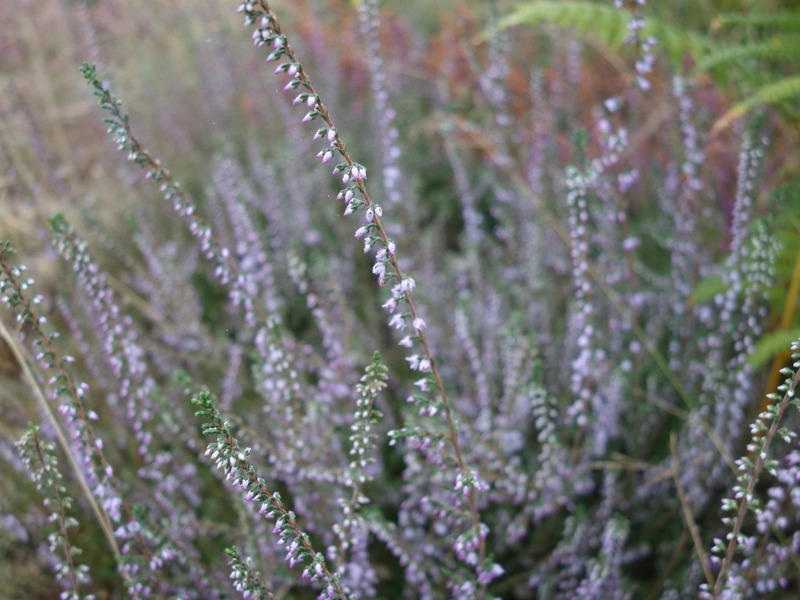 6 Responses to Ever heard of Citânia de Briteiros? And how would we get there? What an interesting place and I love your clever method of getting there. When we go overseas we don’t usually hire a car, so I’ll be remembering your idea for our next trip. Because the archeological site was one of those “THE” places to go, our chances of finding someone to share a ride were pretty good. Simply wonderful! Thank you for posting!